Citizen Sytems Europe has launched a new, user-friendly website packed with the latest product information that simplifies the task of researching and selecting a new printer. The new site guides visitors through Citizen’s comprehensive range of printers with easy navigation, helping customers in all industries to swiftly identify which ranges and products to focus on. Users can research printer information either by range or via the Solutions button, which outlines the key requirements in specific industries and applications and then lists the units that best meet those needs. The product information provides concise summaries, offering the user the opportunity to view the key information that they need to make an informed decision. The new Citizen website also offers pages dedicated to printer support and news, providing useful up-to-date information that can be easily accessed. Throughout the site, visitors will discover how Citizen printers deliver optimum performance, functionality and reliability, to bring customers the best possible return on investment. Citizen printers offer a wealth of features that deliver hassle-free, high quality output with minimal maintenance. The range includes printers that are smaller, faster and more reliable than any competing model on the market. 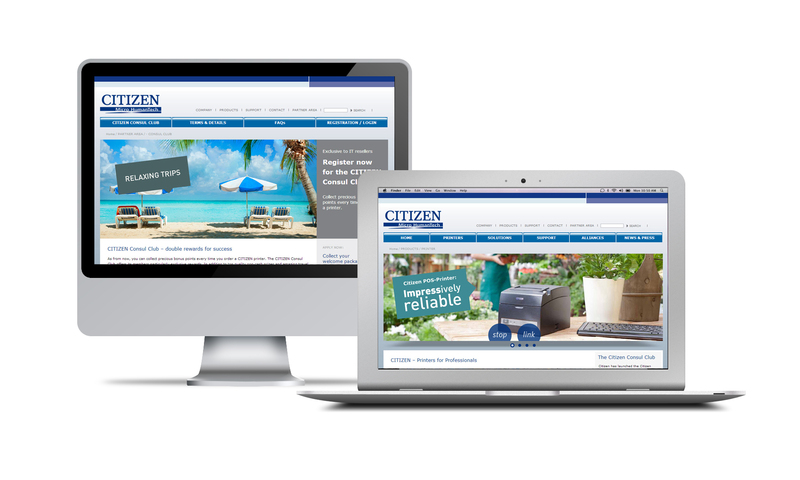 As businesses work to meet efficiency targets while maintaining high levels of performance, the need to evaluate hardware specification is more important than ever and the new Citizen website is a powerful tool in the decision-making process. The new Citizen website is online now at www.citizen-europe.com. Citizen Systems Europe operates from locations throughout Europe covering the EMEA region. It offers a wide range of printers for industrial, retail, healthcare and mobile applications specialising in label, barcode, portable and point-of-sale printers. In each case, the company’s products are sold and supported by a network of specialised partners. Citizen Systems Europe is a wholly owned subsidiary of Citizen Systems Japan and part of the Citizen group of companies, a global organisation that manufactures products ranging from its world-famous Eco-Drive watches, calculators, mini-printers and industrial printing systems to machine tools, quartz oscillators, LEDs and other electronic components.